1. Alice: I was wondering whether photos left on a CF or SD card can degrade or become corrupted over the course of decades since it is flash memory (Doesn't RAM flush everything on it once the power is cut for a while?)? I recently found an SD card from over ten years ago and I couldn't read it. Some manufacturers offer lifetime warranties, what are we to think of those? Hi, Alice. Flash memory generally does not degrade with age in the sense that if it's left alone, it'll lose quality. What does degrade flash, however, is write/read cycles, due to residual voltage buildups that stress the components. In general, if a manufacturer offers a lifetime warranty, it's not because the memory will never fail, but simply because mathematically, it's very unlikely that it'll fail under normal usage within a lifetime. So, that being said, I think you can feel secure in using such a card and expecting reliability, but it's not a guarantee. Always have a backup. In fact, I highly recommend having some sort of offsite backup in the event of a fire or other catastrophic event. 2. Jesse: Hi everyone! I shoot with the 7D Mark II and I'm thinking of selling my 17-55mm 2.8 for the Sigma 18-35mm 1.8. I love how the 17-55 has IS and f/2.8; however, the autofocus can be inconsistent at times. Microadjustment doesn't seem to help the issue very much. I shoot portraits, weddings, events, and football on occasion and I already have good telephoto lenses and a great ultra-wide lens. I'm just wondering what everyone thinks about it. Thanks! Hi, Jesse. Microadjustment only helps if there is a consistent error of the same magnitude in the same direction. 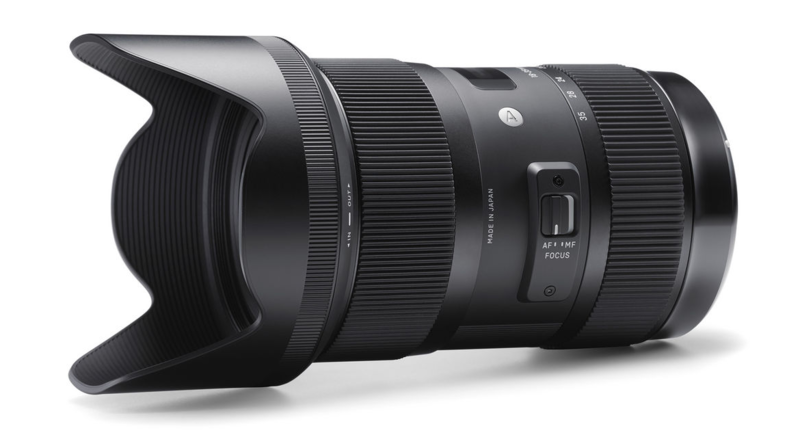 The Sigma certainly is a spectacular lens with stellar reviews. There have been some issues with quality control regarding the autofocus system; some copies focus impeccably, while some struggle in low light or low contrast situations. If you can go to a physical store and try out copies yourself, I would recommend that. In terms of what's more appropriate for what you shoot, having another 1 1/3 stops could be quite helpful in situations like low light wedding receptions. You might find the telephoto end a little short for close portraiture work or for event shooting, depending on your style; though, personally, I find 35mm to be plenty adequate for events. Optically, the Sigma is outstanding, but the Canon is no slouch either; so, really, it comes down to having image stabilization and extra reach on the telephoto end vs. a wider aperture and gaining a fair amount of low light capability (particularly important since you're using an APS-C sensor) and more DOF control. Also, depending on what focal length your telephoto lenses start at, you might find the gap between focal lengths to be too wide. Personally, it sounds like most of what you shoot requires relatively fast shutter speeds compared to the focal length, so I'm not sure how much use you're getting out of IS. My vote would be for the Sigma (while keeping the telephotos for portraits), but I think you'll be happy with either lens! The Sigma 18-35mm f/1.8 DC HSM Art. 3. Bianca: I have 3 monolights from Interfit and just want to upgrade to a power pack. I usually shoot in studio, so I don't need that much power. What's a good upgrade that won't break the bank? Hi, Bianca. When you say you want to upgrade, are you looking into a new system of heads too? If so, check out the Zeus line by Paul C. Buff. Their products are well-known for being affordable, but relatively high quality. 4. Scott: I have been shooting Minolta/Sony for a long time and have a hefty investment in full frame A-Mount glass. I have been using Sony Alpha bodies with the normal A-Mount, but they are getting older and the new A7 series has some really attractive technology. If I make the jump to the A7 series and want to use my A-Mount glass with the adapter, what are the drawbacks in terms of speed, image quality, or other functionality that I should be aware of? Hi, Scott. I'll tailor my response to the LA-EA4, since that's the best adaptor for your purposes. You'll definitely notice a bit of a size and weight gain since the adaptor contains both an AF motor and an aperture motor. You also lose about a 1/3 of a stop of light due to the semi-translucent mirror, but you also gain phase detection AF, so I really wouldn't worry about such a small loss. It's also not compatible with Xi, MC, MD series lenses or the Macro-zoom lens. The AF coverage of the adaptor is rather sparse and very limited to the center of the frame, but the points it does have are quick and accurate. The previous generation of adaptors with the Semi-translucent Mirror technology did have some issues with image degradation, but Sony has addressed these in the LA-EA4 and image quality looks quite stellar (with the right glass, of course). 5. Jim: Why can't we have ISO 25, or tech pan territory with ISO 3 or 6? These with greater dynamic range as well? Add in mechanical mirror lock for those of us who set up macro work and have to wait for the subject to get in the right spot for our composition and I would be happy. I sure would like a manual cable release as the '"feel" of tripping the shutter is more accurate than the vague electronic models. Hi, Jim. 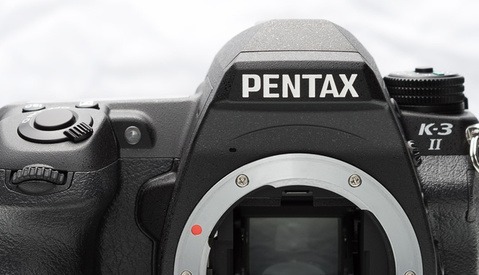 I'm with you; I love manual cable releases, but I don't think we'll be seeing them in many digital cameras in the future. The reason we can't have lower ISOs has to do with the way ISO works. All digital cameras actually only have one sensitivity, the base ISO. When you change that value, the camera is simply amplifying the signal by the appropriate amount post-sensor, not changing the sensitivity of the sensor itself. If we were to have extremely low ISOs, the other end of the dynamic range, the shadows, would suffer, as the camera would lose its ability to resolve them as well. I think that the base ISOs of 100 or 200 that we see now represent the best balance, particularly given the current resolution standards (I've never seen any noise in a properly exposed base ISO shot). One could argue that manufacturers could make specialized versions, but I don't think they see the market demand for those. 6. Tammo: I'm currently using my 70-200 f/4 as a walkaround lens next to a 50 f/1.8 on my Canon 6D, but I wanted to upgrade to the 2.8 version without IS. Is it really worth the money to get the 2.8 without IS? Is the image quality equally as good, and does the extra f-stop make that much of a difference in lower light situations? Or is it maybe better to even go with the Tamron version of the 70-200 f/2.8? Hi, Tammo. If you have the Canon now, I wouldn't necessarily go to the Tamron. It's a good lens with strong image quality, but the Canon still edges it, which might bother you if you switch. As far as upgrading to the f/2.8 version of the Canon, that really depends on what kind of genres you're shooting. If you're shooting a lot of low light events that require moderate-to-fast shutter speeds, that extra stop makes a big difference, even with the great high ISO performance of the 6D. I personally have a hard time using lenses past about 135mm without IS, but some people can handhold at much longer focal lengths without an issue. The image quality is just as good and the additional DOF control you get can make it a nice portrait lens. That being said, unless you consistently notice yourself in situations where your ISO is already high and you can't slow your shutter speed anymore, I don't think the extra stop will be a groundbreaking upgrade. 7. Pulkit: I am based in India. I shoot mainly fashion, beauty and weddings. I have a Canon 600D with a basic kit lens, tele lens and a 50mm f/1.8, but for big gigs, I rent a full frame camera. 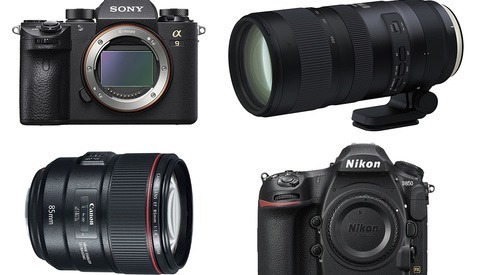 I am planning to buy a full frame DSLR, but am stuck in choosing from the 6D and 5D Mark III. There is a significant price difference for me between the two. My inclination is towards the 5D Mark III as i also shoot behind the scenes footage for other photographers. Can you help me choose which would be the best option for me in this situation? Hi, Pulkit. I'm inclined to say that you should stick with the 600D and invest in better glass, but if you're set on a full frame, I think you would be happy with either. Video-wise, the two cameras are very similar, unless you're shooting a lot of RAW video with Magic Lantern. For me, the differences really come down to their respective AF systems. There are other minor points: the 6D is lighter, only has one card slot (which could be an issue if you're shooting weddings), has one less custom mode, a slower sync speed (1/180 vs. 1/200), a slower top shutter speed (1/4000 vs. 1/8000), and a slower burst rate (4.5 FPS vs. 6 FPS), but is also much lighter, has Canon's best high ISO sensor, and has GPS and WiFi. Really, the only striking difference between the two is the AF systems. The 5D Mark III has 61 (41 cross-type) AF points, while the 6D has only 11 (1 cross-type), while the 5D Mark III also has markedly better tracking algorithms. Simply put, the 5D Mark III blows the 6D out of the water here. For beauty and fashion, where you can be slow and methodical and there is normally good lighting, this isn't a big deal. For weddings, it can make a huge difference. This isn't to say there aren't very good wedding photographers out there who use the 6D - there are. However, I find the added security of a stellar AF system to be worth it in "can't miss" situations. Keep in mind that the 6D is actually a downgrade from your 600D's 19-point (all cross-type) system. If you're currently satisfied with your 600D's AF in high performance situations and think you could handle a bit more of a downgrade, I would say get the 6D. If you already feel limited by what you have, though, you might want to consider the 5D Mark III. 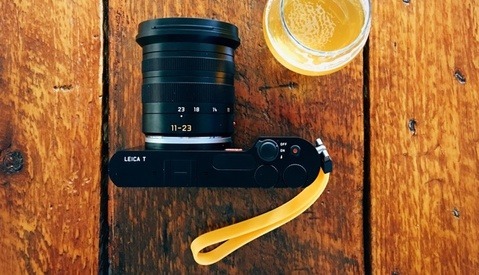 The camera world is filled to the brim with equipment, science, and technology and we know that navigating all the options and mastering all the technicalities can be quite an undertaking. To help you on your journey, each week you can submit any question you have, from which we will select 10 questions to be answered in the following week's article. I need a new film scanner that's an upgrade from my flatbed scanner. I shoot mostly 35mm, but sometimes dust off the old twin lens medium format and shoot 220. Alex, I think your answer to Alice's question is a bit misleading. Firstly, data saved to a SD card can certainly degrade over time when left unused. If you read the white papers for NAND components - the type of memory most typically used in cards and desktop SSDs - manufacturers only guarantee data retention for up to 10 years. If Alice left a card to sit for a decade, some of the electrons probably naturally dissipated, as they are wont to do, leaving her with a memory card that probably had a few corrupt blocks and, therefore, unretrievable information. Secondly, the terms of a 'lifetime warranty' vary greatly. I've seen it mean everything from 'will replace an old product regardless' to 'will replace it so long as we still make that particular product'. SanDisk, for example, has a lot of caveats in their warranty language for replacing a product, including reservations to give you a used/refurbished product, a product of 'equal market value', a product with a different memory capacity, and so on. Of course, any of this is also dependent on people actually registering a warranty for a memory card... when was the last time anybody bothered doing that? I would like a way to see images on a tablet without delay. Are there any tablets with HDMI in or should I buy a camranger? I bought a Canon 6D partly because of wifi tether, I was very disappointed with Canon's "free" app and that they have never improved it in any way, I would rather pay for it and have some support and upgrades, or at lease make it open source. I shoot RAW and find waiting 4+ seconds for every shot and then having to click the tablet, really disrupts my workflow and shooting a number of shots quickly jams it up. I've tested shooting low jpg only vs Raw and it takes the same time to transfer to my laptop, Wtf Canon? This is the first time of hearing Zeus line from PCB. I was just browsing the battery you recommended, does it say its designed for the Zeus line strobes? Not sure if it would work with others or not? I want to upgrade as well. Right now i am still on a D300s. I want to finally go FX. Originally I figured I get the D750. But now i see some "great" offers for the D800 (Sometimes even D800E). So I am now wondering what will be the better choice. 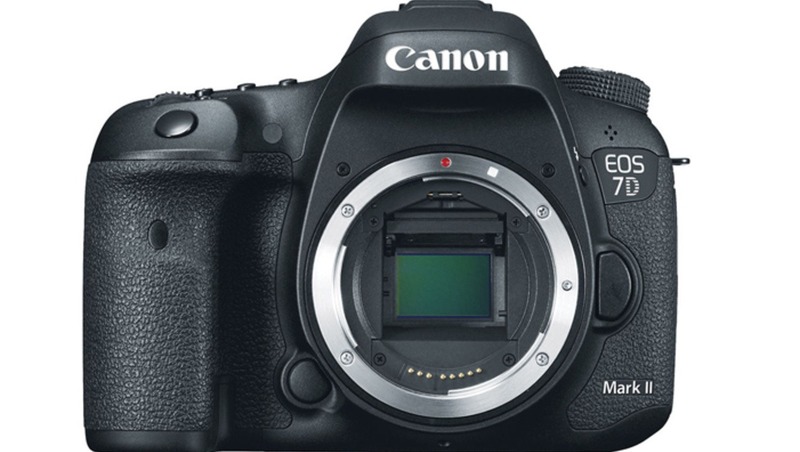 Take the new image Processor from the D750 and with it better ISO performance. Or do I go for the higher resolution. My main focus is landscape and street/architekture photographie (hence Nikon for the better dynamic Range). Though portrait work is growing lately (e.g. weddings, or single portrait). Esp. for street-/ travel photographie I want to be able to go out with Just one body and lens. At least idealy. (not to heavy). Now the only Lens I found is the Nikon 28-300. But this lens does not have the very best optical performance and its a 3.5-5.6. And I do like playing with Bokeh. (Their is a tamron as well, but from what i have read its even worth). Is their an alternative?? Is this lens really as "bad" as e.g. dxomark suggest? Because alternatively I think i need at least 2 lenses. But those are 1.) alot heavier and 2.) alot more expensive (probably to expensive to get both right away). So I am a little unsure what to get. P.s. Even though I know its often times not really important, I still haveing a hard time to get away from being a "pixel quality fan".